Sunflowers in Tuscany are probably one of the most iconic symbols of this region. That is after the leaning tower of Pisa, the Duomo of Florence and the vineyards of Chianti. When sunflowers are in season, from mid June to mid August, they liven up the scenery and warm your hearts with the bright yellow petals which seem to follow the path of the Tuscan sun from dawn to twilight. 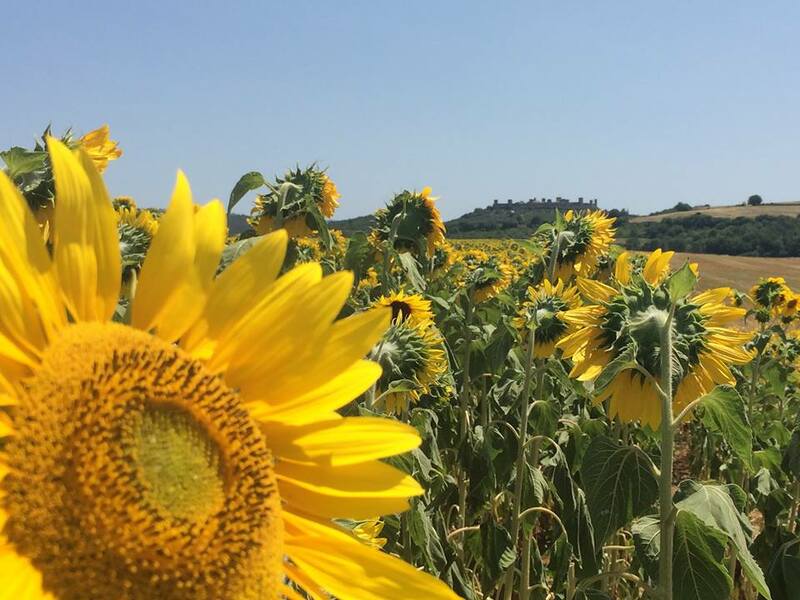 If you are lucky enough to be visiting Tuscany in this period, and if you really want to see the beauty of the sunflowers in Tuscany up close, here are a few pointers on things you can add to your itinerary to be at the right place and capture the beauty. Read on to find the best one for you. 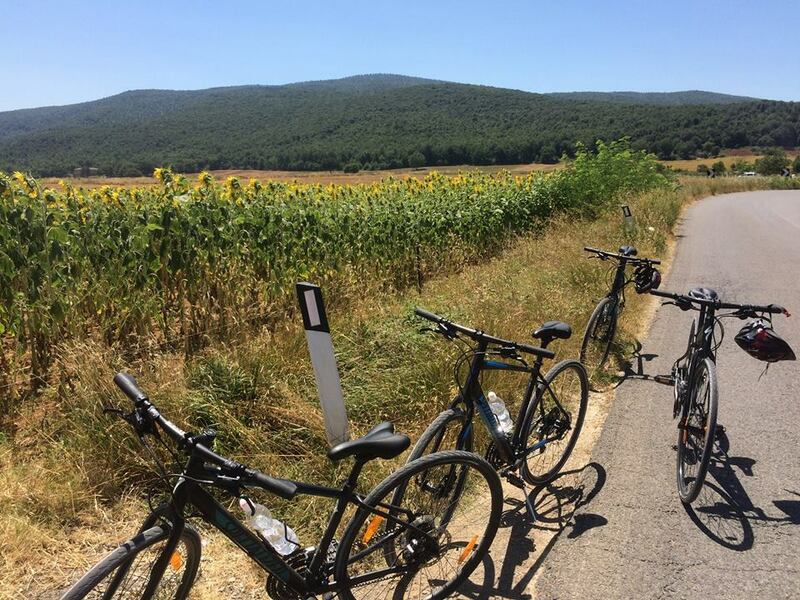 Can it get any better than a bike ride through the Tuscan countryside following the sunflowers, the way seem to follow the sun? 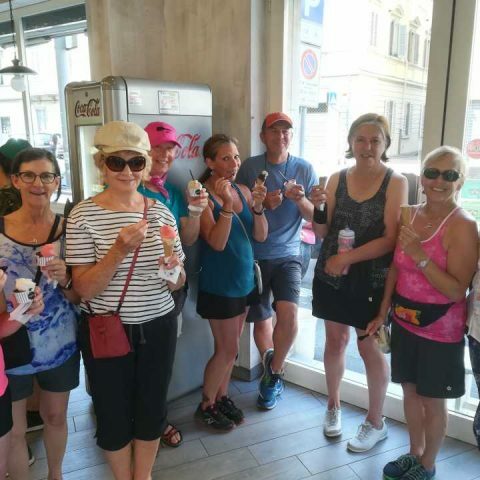 Stopping in small towns, gelato breaks and wine tastings? Probably not. This type of exploration practically covers all of your bases: stress free because your guides will plan it all out, no-driving because the tour always comes with a support vehicle and most importantly someone who knows the lay of the land like Piero & Elena and their Bike in Florence and Tuscany San Gimignano Siena tour. The advantages are multiple! Besides having the experience of a local who knows where to find the blooming sunflower fields in Tuscany, you are also free to enjoy at your own pace and stop anywhere for a photo, which is not always possible with a car. As you coast along the low traffic dirt roads, the tranquility of the scenery is more evident, you can inhale the fragrant air and the wind whispers over your face — this is absolutely the best way to enjoy Tuscany and its sunflowers. ⇒ Did you know? While recognised worldwide for its beauty, sunflowers are an important source of food. They produce a very healthy vegetable oil and sunflower seeds are enjoyed as a tasty and nutritious snack. 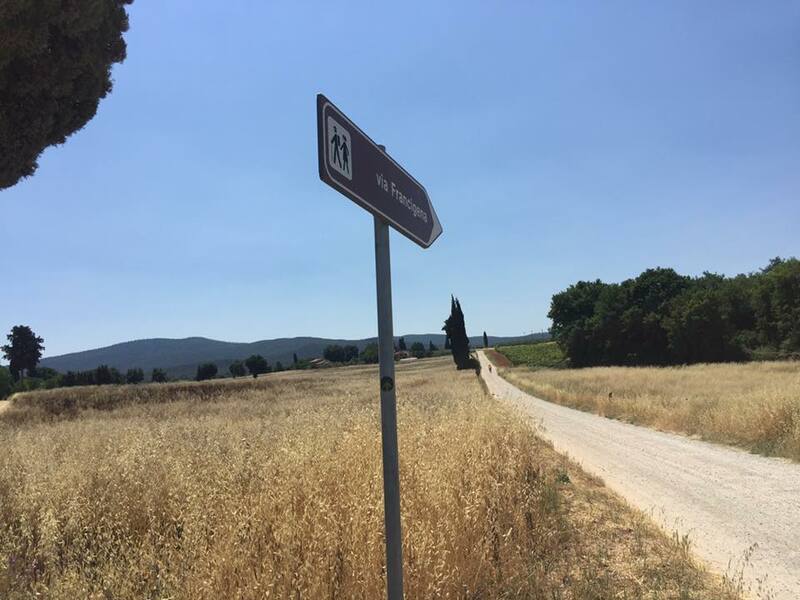 For those who like the idea of getting close to nature you can always pick two points on the via Francigena where you are sure to find sunflowers in Tuscany, especially on the tracks from Lucca to Siena which normally boast wide open fields of this bright yellow blossoms. This mainly “white road” trail follows the path of the pilgrims traveling from Canterbury to Rome in the medieval times. 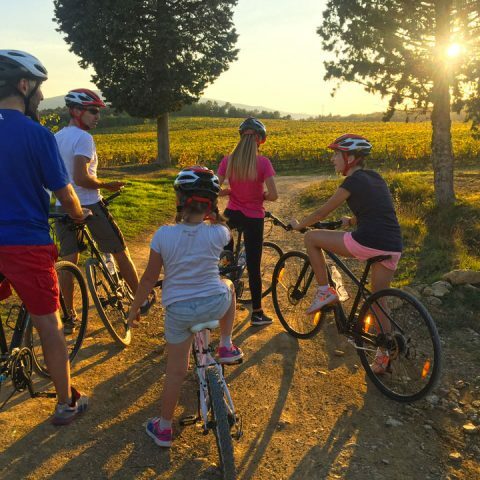 It covers some of the most stunning areas of Tuscany and though they are not circular itineraries, you can arrange for a driver to pick you up or look into coordinating with public transport. ⇒ Did you know? The spiral formation of seeds in a sunflower almost always follows the Fibonacci sequence. A single sunflower can have up to 2000 seeds which create 34 spirals in one direction and 55 in the other. Very large sunflowers can have 89 in one direction and 144 in the other. If your time in Tuscany is limited — as in, driving through on the Autostrada, or the FI-PI-LI (primary road connecting Florence to Pisa) — the good news is you can still see the sunflowers in Tuscany! On the borders of these roads are several fields of flowers. You may not be able to stop for photos along the way, but the warm yellow colors will liven up the sometimes drab highway scenery. ⇒ Did you know? The sunflower is a large “inflorescence”, this means the flower head is actually made of many tiny flowers called florets. Central florets look like the center of a normal flower while the outer florets look like yellow petals and together they make up a “false flower”. This natural design helps with pollination! Just imagine yourself looking out from your villa rental pool onto a field of cheery bobby sunflower heads. The biggest surprise, Mugello, just a short distance north of Florence, is the place to go. 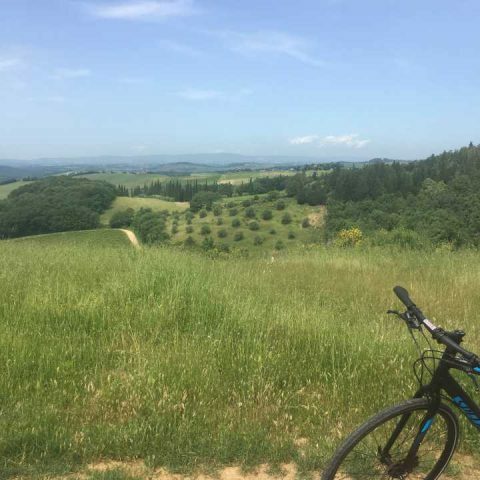 There are many fields hidden in this surprising valley which is not only close to outlet shopping and the famous “Formula Uno” racetracks, but is also the ideal setting for hiking and bike tours! ⇒ Did you know? Sunflowers, like potatoes, tomatoes, and corn, didn’t originate in Europe – even though some of them have made their fame here, just think of a plate of pasta with homemade tomato sauce! They were cultivated in North America as far back as 3000 BC. Then, they were exported to the rest of the world by Spanish conquistadors around 1500’s but it was Russia that exploited the natural goodness inside when they discovered the oil. 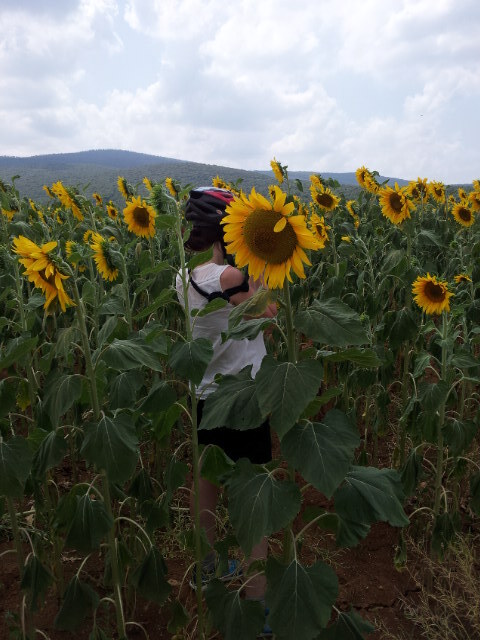 Not only will you enjoy the sandy, clean beaches on the coast of Tyrrhenian sea and the fabulous Tuscan archipelago but if you follow just the right route you will soak up field after field (after field) of sunflowers in Tuscany. 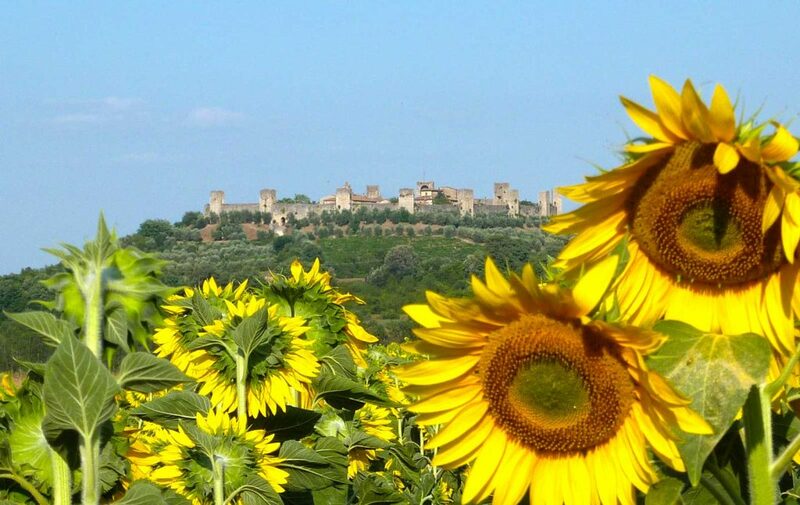 The roads towards the coast, especially from Colle val d’Elsa – and also towards Volterra and sometimes the road that leads toward Grosseto, boast large fields of sunflowers in Tuscany. ⇒ Did you know? There are two kinds of sunflower seeds. Sunflower oil is made from black seeds and snack food is made from the striped seeds. The seeds can also be used as bird feed.